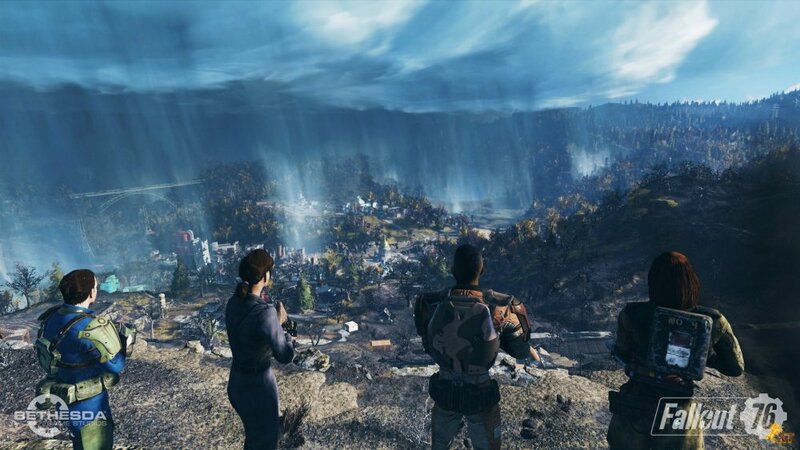 Bethesda on Monday said it will be conducting a beta for Fallout 76 in October on PlayStation 4, Xbox One and PC. Details are light but here’s what we know at this hour. Everyone that pre-orders through a participating retailer will be included in the beta, Bethesda said, although it’s unclear exactly the order in which participants will be chose (at random, on a first-come, first-served basis, etc.). According to a post on Bethesda’s community forums, they’ll start small and grow over time as the game’s launch approaches. The Xbox One beta will begin first according to Bethesda’s FAQ. Those who pre-order via the Xbox One Store, PlayStation Store or through Bethesda.net’s eShop will automatically receive access when the beta launches. If you pre-order from a participating retailer and received a redemption code, you can head over and plug it in on Bethesda’s website to get the ball rolling. The community administrator added that things are still changing and being iterated on so they can’t really answer everyone’s questions about the game just yet. More details will be provided during the Fallout 76 panel at QuakeCon, however. QuakeCon takes place at the Gaylord Texan Resort and Convention Center in Grapevine, Texas (the Dallas Area) from August 9 through August 12. Registration is now open and general admission is free. Those who aren’t able to attend are encouraged to check out the livestreamed action on Mixer.